Tower Health reported revenues of $905.1 million in the six months ended Dec. 31, up from $729 million in the same period a year earlier. The increase was largely attributable to the health system operating more hospitals. Tower Health acquired five hospitals and their affiliated physician groups from Franklin, Tenn.-based Community Health Systems in October 2017. Tower Health said expenses climbed 27 percent year over year to $927.1 million. During the first half of fiscal 2019, the health system recorded $7.4 million in one-time expenses — $4.6 million was related to Epic implementation costs at the newly acquired hospitals, and the remainder was related to other one-time transaction costs. As of Dec. 31, Tower Health had spent $63 million on the Epic installation at the five hospitals. The health system plans to spend another $51 million to complete the implementation by Aug. 3. The health system said an unanticipated large number of denied and delayed claims from commercial insurers dragged down revenue and liquidity in the first half of fiscal 2019. Most of the denied and delayed claims were submitted by the system's five new hospitals, which continue to operate with a manual EMR system. "A majority of denials that management is challenging relate to provider identity, inpatient to observation downgrades and medical necessity issues, which are automated items in an Epic environment," state the financial documents. "Management is addressing this issue with an implementation of the Epic EMR at the five new hospitals." Tower Health's chief revenue cycle officer has hired a revenue cycle consulting firm to support the revenue cycle operation at the five new hospitals, according to the financial documents. Tower Health ended the first two quarters of fiscal 2019 with an operating loss of $21.95 million. The system reported an operating loss of $1.78 million in the same period of the year prior. 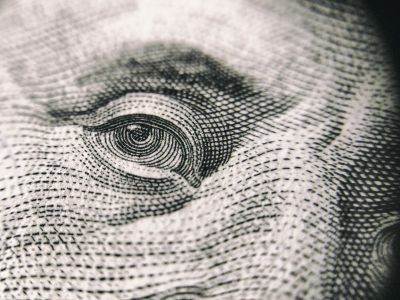 After factoring in a $19.2 million loss on investments and other nonoperating losses, Tower Health posted a net loss of $42.9 million in the first two quarters of fiscal 2019. That's compared to the first half of fiscal 2018, when the health system reported net income of $111.1 million. Tower Health has identified cost savings opportunities and management is taking several steps to improve the system's financial picture in the long term. "Management has implemented several corrective actions by investing resources to address deferred maintenance at the acquired hospitals, initiated a market positioning and branding strategy, and developed consumer engagement initiatives," state the financial documents. "In addition, management continues to pursue review opportunities to monetize non-core assets, expand philanthropy and grants, and explore partnership opportunities to advance system goals in an efficient manner."